We only knew the place as “The Rocks.” It was our favorite picnic spot. On any given day, if the weather was nice Mom would pack up the little grill, food for dinner, and marshmallows. As soon as Dad got home from work we’d be off to The Rocks. 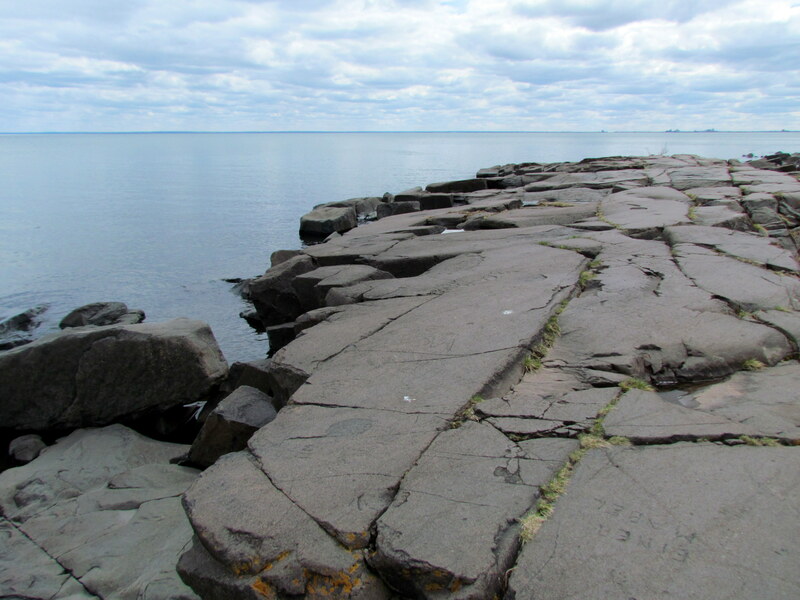 The prime feature of this site was the huge expanse of flat rock adjacent to Lake Superior. It was the perfect sitting area, table, cooking platform and viewing spot. We loved to run around on the rocks, dip our feet in the water and explore. Mom always brought a towel because someone was bound to fall into the lake. Adjacent to the The Rocks was a pebble beach, with an endless supply of rocks to skip or throw into the lake. We spent hours filling Lake Superior with those rocks. Little changes over the years alongside Lake Superior. That area now known as Brighton Beach is just down the road from our house. 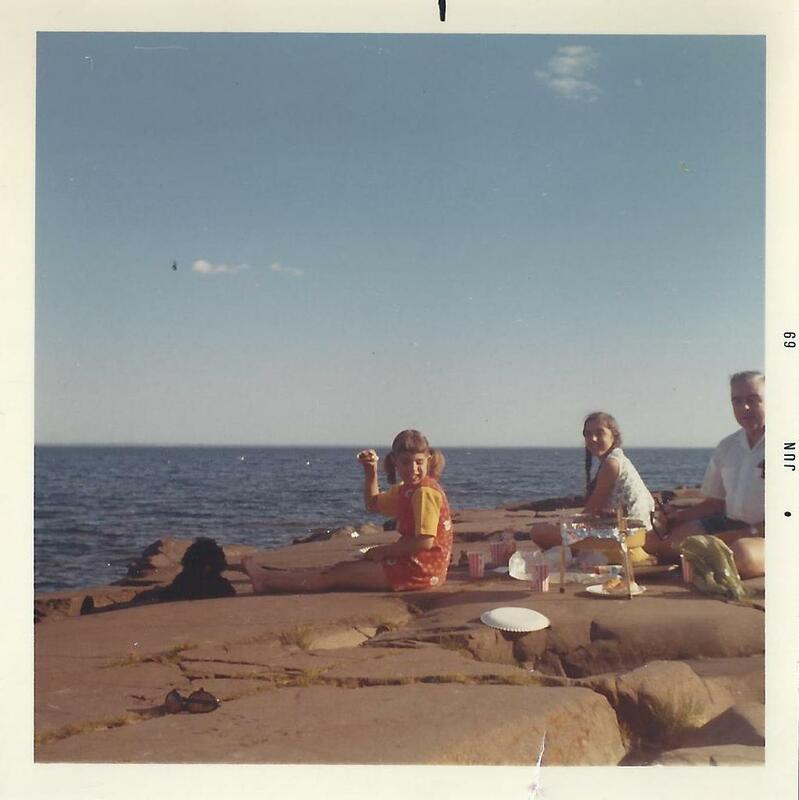 Who knew that years later I would return to Duluth and settle so near The Rocks? The area is much more park-like these days, with an abundance of picnic tables and park benches for staring out at the lake. But I still prefer to sit on The Rocks. I’m continually drawn to this small section of shoreline. In the summer I run or cycle through it almost daily. If I set out on a walk, I always end up there. When the wind churns up the lake, I head there to check out the crashing waves. In winter I love exploring the continually changing ice formations. When Mom died, I sought solace on The Rocks, listening to the lapping water. Mom and Dad introduced me to The Rocks. Now I enjoy sharing them with my kids and grandkids. That pebble beach is like a magnet, the rocks irresistible to all ages. 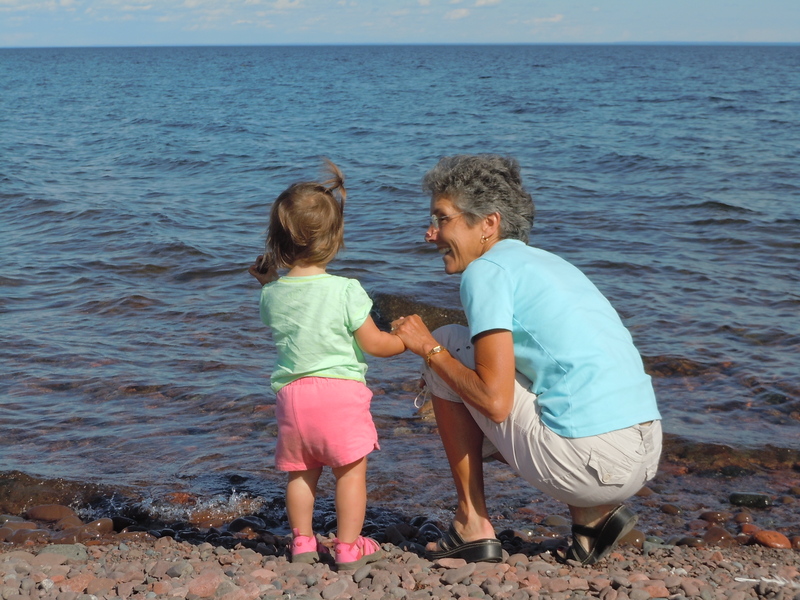 No visit to Duluth is complete without going down to the lake and throwing rocks. No matter what season. No doubt, years from now it will still be the same. And I have no doubt it will always have that same appeal. The big flat rocks will host picnics, and the pebbles will find their way into the lake. Its name may change again, but to me it will always be The Rocks. 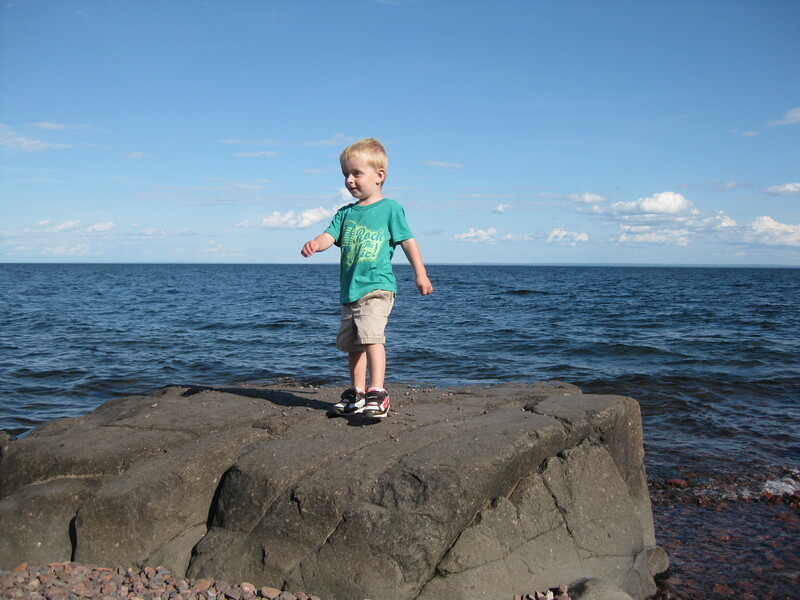 This entry was posted in Family Footprints and tagged Duluth Minnesota, Family, Lake Superior by Molly. Bookmark the permalink.